The Greater Victoria Harbour Authority (GVHA) has announced the launch of its 2019 cruise season starting Tuesday, April 16 with the arrival of the Celebrity Eclipse, the first of more than 260 ship calls scheduled to visit Victoria, BC, this year. The season includes a series of highlights and inaugural calls for the city, including the arrival of the Ovation of the Seas, the Queen Elizabeth, the Azamara Quest, and the Norwegian Joy, sister ship of the Norwegian Bliss. This year will also see an increase in full-day, mid-week calls. In addition, the city will welcome the eighth millionth cruise ship passenger in May 2019. The GVHA said it is set to welcome some 700,000 passengers and close to 300,000 crew to during the seven-month season. The final ship to call to Victoria will be the Grand Princess on Friday, Oct. 25, 2019. This winter, the GVHA continued its multi-year capital improvement project on three deep-water berths. 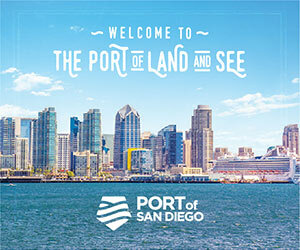 Between November 2018 and March 2019, the organization completed: the installation of five new 200-ton bollards used to tie up ship lines; construction of two additional information kiosks for volunteer greeters; an updated and enlarged facility for crew, sponsored and run by Lighthouse Ministries; and the installation of seagull deterrent netting on the warehouse roof. Additional on-the-ground improvements include improved wayfinding for all visitors with an emphasis on pedestrian movement. In 2018, 30 percent of cruise visitors chose to walk downtown from the terminal. A multi-platform promotional plan is in place to further encourage human-powered traffic. This will be tied in to a new pedestrian gateway that links the terminals to the street front. In terms of bus transportation, PNW Transportation Services – the provider of shuttle and coach transportation to the terminal – has upgraded their fleet to include 18 single double-decker buses; this will allow for the handling of a greater volume of passengers while not increasing the number of buses that are moving off the terminal, the GVHA stated. Local requirements ensure that buses must meet the highest EPA (USA) standard, or 2010 for bus engine age. As of 2019, all buses on the terminal will have 2010 or newer engines.